An innovative fund that supports young people and has brought together several organisations across the North East is proving to be a huge success. The Fair Chance Fund focuses on providing accommodation, training and employment opportunities for vulnerable young people. The contract for the North East was won by social housing organisation Home Group, which has so far succeeded in supporting 160 homeless youngsters. The contract sees a new collaborative way of working in the North East, with seven local authorities and venture capital firm Northstar Ventures working alongside social housing and care and support organisation, Home Group. Local housing providers DePaul, Oasis Aquila and Your Homes Newcastle are also partnering with the charity to deliver services across the region. The contract was secured by establishing a Social Impact Bond, which has allowed Home Group to undertake the ‘payment by results’ contract. The Fair Chance Fund is a national scheme established by the Department for Communities and Local Government (DCLG). Over the course of three years it will see 240 vulnerable and homeless young people supported across Northumberland, Tyneside, Wearside and County Durham. This is the first time Home Group has used a Social Impact Bond model to help finance a payment by results programme. The project works in partnership with Northstar Ventures which has made an investment of £500,000 to finance the scheme, worth £2 million on completion, over the next 3 years. Through personalised support, the Fair Chance Fund programme will deliver skills in tenancy management and budgeting to reduce the risk of homelessness. It will also support young people to engage in education and training, achieve qualifications and work experience to find suitable employment. The social impact bond was invested from the North East Social Investment Fund (NESIF). 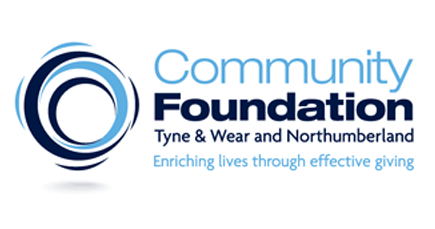 As the first of its kind in the region, NESIF was established by the North East Social Investment Company (NESIC) with the aim of providing an innovative regional solution to developing the market for social investment and to reduce disadvantage, deprivation and social need in North East communities. — Neil Munslow, Service Manager at The Active Inclusion Newcastle Unit which provides housing related support, and information and advice to prevent homelessness. — Les Woodward, head of client services at Home Group. — Peter Gilson Fund manager at Northstar Ventures.